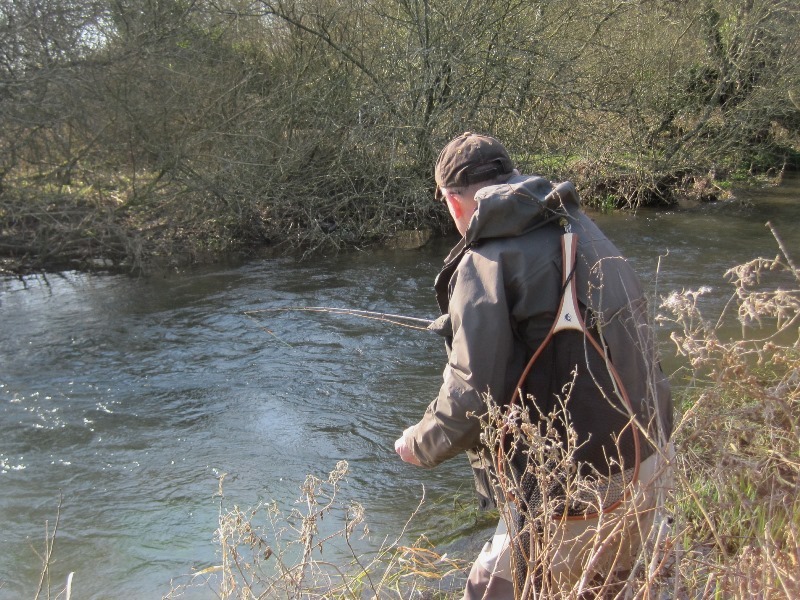 Despite the chilly weather I had to make a last gasp grayling bash at the weekend before the season closed. The water was quite clear, with a cold wind and bright sunshine. 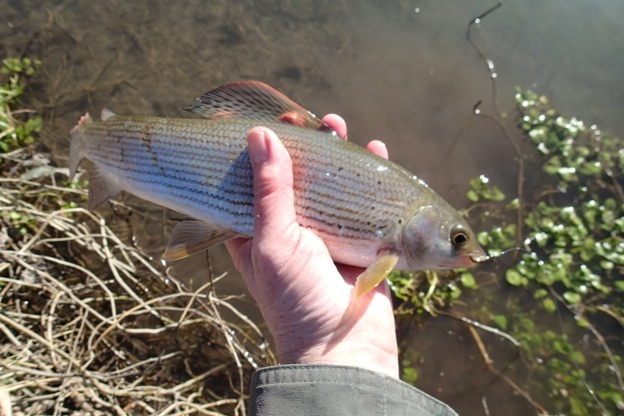 I saw several substantial grayling as I worked my way upstream, but each time they also saw me, which didn’t help. It looked like it was going to be quite difficult to get myself a first fish of 2018. 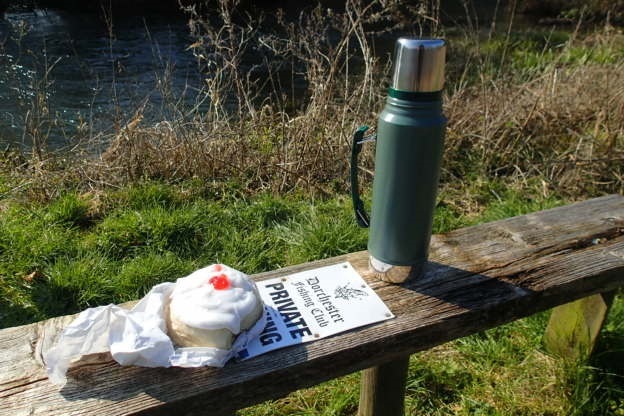 I stopped for a coffee to warm up and having propped my rod against one of John Aplin’s benches, a goldcrest flew out from a bush and attempted to take my nymph as it fluttered in the icy wind. Now that would have been a first on the fly, having only managed a bat in the past. Fortunately the bird missed the fly or probably my tying was not quite realistic enough to be convincing. So I tucked into my bun whilst the goldcrest was left to forage elsewhere for its own 3 x bodyweight in food. Finally fishing at the end of a fast run I felt a tap on the nymph and lifted into a grayling, which took a small ‘disco shrimp’ pattern. It fought well but once landed I could see that it appeared to have been in a recent brush with a pike (the beast from the east?) and had left half its tail behind in order to escape. Apart from one other fish which was on then off, that was my total. So at least I have my first fish of the year, though it would have been nice to have caught a whole one. All the best and looking forward to another great season!